With the price of gas rising, and city populations growing, more and more people are commuting on foot. With more pedestrians on the road, come more pedestrian involved accidents. According to the Washington Post, pedestrian deaths from being struck by cars increased by 25% from 2010 to 2015. Staying safe as a pedestrian requires, in part, being familiar with the rules applicable to you as a pedestrian. As a pedestrian, many of the same rules that apply to vehicles apply to you, such as obeying traffic signals. Pedestrian’s rights and duties should be known to keep everyone safe on Washington roads. 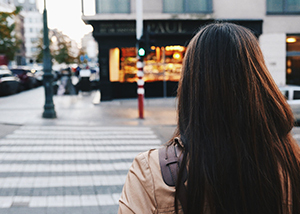 Here are the Washington Rules of the Road regarding pedestrian’s rights and duties. RCW 46.61.230: Pedestrians subject to traffic regulations. Pedestrians shall be subject to traffic-control signals at intersections as provided in RCW 46.61.060, and at all other places pedestrians shall be accorded the privileges and shall be subject to the restrictions stated in this chapter. RCW 46.61.250: Pedestrians on roadways. Where sidewalks are provided it is unlawful for any pedestrian to walk or otherwise move along and upon an adjacent roadway. Where sidewalks are provided but wheelchair access is not available, disabled persons who require such access may walk or otherwise move along and upon an adjacent roadway until they reach an access point in the sidewalk. Where sidewalks are not provided any pedestrian walking or otherwise moving along and upon a highway shall, when practicable, walk or move only on the left side of the roadway or its shoulder facing traffic which may approach from the opposite direction and upon meeting an oncoming vehicle shall move clear of the roadway. RCW 46.61.255: Pedestrians soliciting rides or business. No person shall stand in or on a public roadway or alongside thereof at any place where a motor vehicle cannot safely stop off the main traveled portion thereof for the purpose of soliciting a ride for himself or herself or for another from the occupant of any vehicle. It shall be unlawful for any person to solicit a ride for himself or herself or another from within the right-of-way of any limited access facility except in such areas where permission to do so is given and posted by the highway authority of the state, county, city, or town having jurisdiction over the highway. The provisions of subsections (1) and (2) above shall not be construed to prevent a person upon a public highway from soliciting, or a driver of a vehicle from giving a ride where an emergency actually exists, nor to prevent a person from signaling or requesting transportation from a passenger carrier for the purpose of becoming a passenger thereon for hire. No person shall stand in a roadway for the purpose of soliciting employment or business from the occupant of any vehicle. Except as provided in (b) of this subsection, the state preempts the field of the regulation of hitchhiking in any form, and no county, city, or town shall take any action in conflict with the provisions of this section. A county, city, or town may regulate or prohibit hitchhiking in an area in which it has determined that prostitution is occurring and that regulating or prohibiting hitchhiking will help to reduce prostitution in the area. RCW 46.61.264: Pedestrians yield to emergency vehicles. Upon the immediate approach of an authorized emergency vehicle making use of an audible signal meeting the requirements of RCW46.37.380 subsection (4) and visual signals meeting the requirements of RCW 46.37.190, or of a police vehicle meeting the requirements of RCW 46.61.035 subsection (3), every pedestrian shall yield the right-of-way to the authorized emergency vehicle. This section shall not relieve the driver of an authorized emergency vehicle from the duty to drive with due regard for the safety of all persons using the highway nor from the duty to exercise due care to avoid colliding with any pedestrian. RCW 46.61.266: Pedestrians under the influence of alcohol or drugs. A law enforcement officer may offer to transport a pedestrian who appears to be under the influence of alcohol or any drug and who is walking or moving along or within the right-of-way of a public roadway, unless the pedestrian is to be taken into protective custody under *RCW 70.96A.120. Release the intoxicated pedestrian to a competent person. Because pedestrians do not have the protection of a ton of metal to protect them in an accident, injuries in accidents involving pedestrians can be devastating. If you or a loved one are injured in an accident as a pedestrian, you need an experienced and knowledgeable personal injury lawyer in Spokane on your side. The attorneys at Parke Gordon Law Firm will work hard to get you the compensation you deserve. Contact the law office of personal injury attorney Mat Parke today for a free consultation. This is your opportunity to speak with an experienced personal injury attorney about your case for free. Call (509)482-7274 to get started on receiving a fair settlement from your personal injury case.